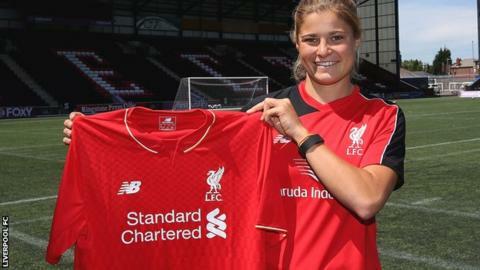 Liverpool Ladies have signed New Zealand striker Rosie White, subject to international clearance. The 22-year-old recently featured for her country at the World Cup, making two substitute appearances. White previously played for Western Springs and Three Kings United in New Zealand before moving to the US to play for the University of California. Liverpool manager Matt Beard told the club's website he was "really pleased" with the signing. He added: "I have been keen to improve my striking options since the beginning of the mid-season break. "Rosie will add something different in the final third for us and I am looking forward to working with her".